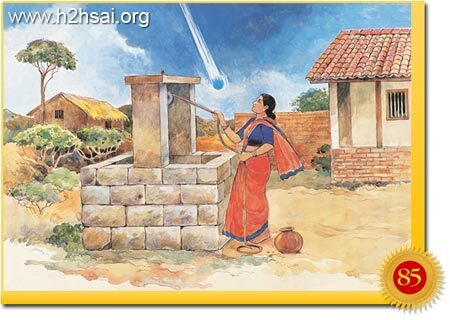 In 1926, in the tiny hamlet of Puttaparthi, a woman was on her way to collect water at the well. As she drew out water, a big ball of blue light headed directly towards her and merged into her being. She was so startled at this phenomenon that she fainted and fell. The occurrence was highly significant as precisely at that moment, the Lord had entered her womb. The woman was Easwaramma - a name destined to be held dear by millions around the world as the one who gave birth to the Living Avatar. 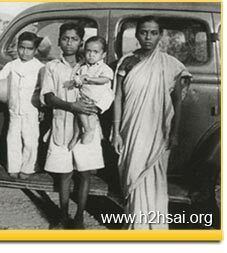 This is the story of the Lord’s arrival in the human form when, 85 years ago, He incarnated in a quiet little village called Puttaparthi. His grandfather, Kondamma Raju, was skilled in music and drama and could recite the entire epic of Ramayana in the form of songs. He was a strict vegetarian, inclined to observe all the holy dogmas of the Hindu calendar. His wife, Lakshmamma, was also very pious, her life being dictated by fasts, vows and vigils, intent on invoking the blessings of the Divine Forces. The couple's two sons inherited the father's talent for music and theatre. 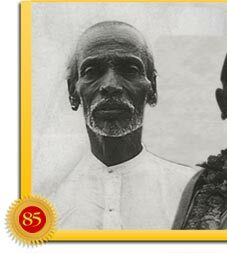 The elder, Pedda Venkappa Raju, was given in marriage to Namagiriamma. Guided by a dream, Kondamma Raju had his son change his wife’s name to Easwaramma. What do we know of the woman chosen by the supreme divine consciousness for Its descent in human form? Mother Easwaramma was born in modest circumstances in remote and rural India during the British rule in the last decade of the 19th century. 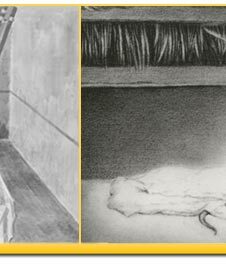 Confined to her little world of tending to the needs of her family, she lived a pious and content life in an isolated village with no access to the outside world. 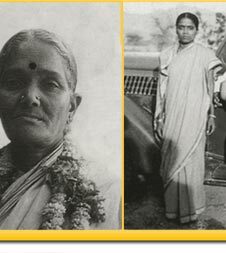 Modest, humble and pure, she was the one qualified for the rarest of honours for she was in the league of the likes of Kaushalya, Devaki, Yashoda and Mother Mary. So it was that the Divine decided to descend and chose the womb of Mother Easwaramma for His temporary abode. 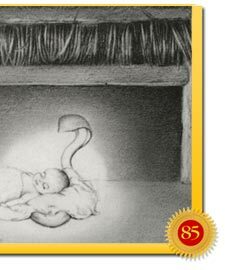 Even before His birth, Mother Easwaramma knew the child she would bear would not be an ordinary mortal. 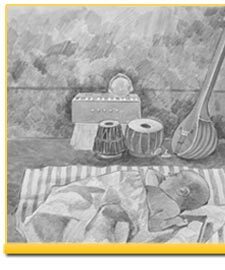 At the time when the mysterious light entered her womb, musical notes from instruments such as a large tamboura and a maddala drum twanged and beat as if played by expert hands. When Father Pedda Venkapa enquired about the strange occurrence, a learned Brahmin interpreted the musical sign as a beneficent power, conferring harmony, melody, order, symmetry, spiritual elevation and joy. 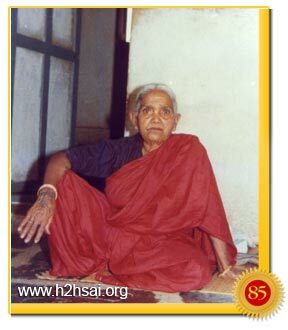 On 23 November 1926, Easwaramma had just finished her strict religious observance to her chosen God, Narayana, when the birth pangs began. Word was sent to the mother-in-law, Lakshamma, who was at the house of the priest to perform her Sathyanarayana Puja. Lakshamma refused to be hurried; instead she waited to collect the sanctified food and water offerings to bring for her daughter-in-law, which Easwaramma accepted and relished. Within the next moment, the Lord was born and the sun rose above the horizon. The baby Sathya reportedly did not cry. Alarmed the infant was stillborn, the nervous mother pinched Him. At the touch, the Child delighted those present with an enchanting smile! What happened next was remarkable. A mat covered with a thick bedspread had been placed in a corner of the room when the labour pains began. As soon as the grandmother placed the new born on the mat, the family found the quilt rising up and falling on either side of the baby. The grandmother grasped the child and held it close. A serpent was coiled beneath! Recalling the ancient religious image, the pint-sized Sathya was Vishnu resting on His cosmic serpent, Shesha. This was the Incarnation's fir st miracle. When Easwaramma was asked about this epic event, she confessed she had been so filled with joy at the birth of a son that she hardly noticed the agitation around. It was at this time that tumultuous suffering and widespread agitation swept through the world. The 20th century was unfolding amidst war and devastation. The seeds of World War II had already been planted. Despite the existence of noble souls such as Ramana Maharshi, the world was at crossroads and clearly needed a direction. It was a critical period. It has been well documented that whenever the balance between good and bad in this world tips in favour of unrighteousness, the Lord—from time to time—descends to lead humanity onto the right path. And so it was in 1926. Dramatic confirmation of the Incarnation took place the day after Baba was born. On 24 November, in neighboring Pondicherry, the highly esteemed spiritual leader Sri Aurobindo and his disciples were aware of the descent of the Avatar, which made itself known to those assembled as “an oceanic flood of Light rushing down from above.” One of the disciples was inspired to declare, "The Lord has descended into the physical today." 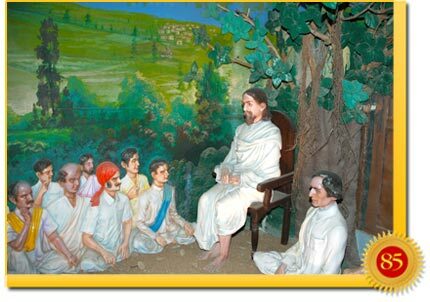 A major part of Sri Aurobindo’s mission had been accomplished. And, what of the descended Lord? The baby, charming beyond description, was called Sathya Narayana, christened after the deity worshipped that morning. When the naming ceremony was performed and the name whispered in the ear, the baby is said to have smiled as the suggestion to bestow that name must have emanated from the Source itself! With His bewitching looks and captivating smile, little Sathya became the darling of the entire village. Pedda Venkapa Raju's house was constantly streaming with visitors, who would come on some pretext or the other and stay on around the cradle, singing lullabies, showering caresses, and forgetting their humdrum lives.